Posted October 27, 2014 by keith@korekote.com & filed under DIY Pool Restoration. Thank you for clicking on Fiberglass pool restoration as you read this website you will become an intelligent well-informed consumer. We would like to take this moment to thank Google Business for this to happen. I’m sure after reading the many fiberglass pool restoration websites you are now utterly confused. All these contractors or manufactures claim to have the best product and longevity. None of them will give you aged testimonials that are 8 to 13 years old. Our Fiberglass pool restoration website has testimonials that are the strongest in pool industry today. These testimonials of homeowners just like you will tell you the success they had with our product. You will read testimonials from architects, engineers, and even a paint chemist these professional do their home work by researching different coatings. The one they always try to find on that website are the MSDS sheets which will back up the statements that are made on that website. This is one of the main reasons we get their orders and of course the testimonials. At the time of this posting pool restoration.com and fiberglass pool restoration is the only national distributor that offers a 5 and 10-year warranty as a DIY. Other manufactures with beautiful websites do not offer any guarantee as a DIY. These other manufactures evidently don’t have confidence with the homeowner that are applying their product or do not have confidence and quality of their product as a DIY. Contractors that are installing the product charge their customers extremely high prices to get any sort of warranty. These high prices enable them to come back within 2 or 3 years when the pool is failing by chalking first then blistering and flaking to slap on another gel coat finish. In the last 10 years the majority of these contractors have gone out of business where the customer has a pool with no warranty. Since 2001 as a local contractor and going on the Internet in 2003 with poolrestoration.com and fiberglass pool restoration we have been offering our customers A+ rating with the Better Business Bureau. At this time on the Internet we are the only company that has an A+ rating. When you click on fiberglass pool restoration you will see some beautiful websites that have been up longer than Pool restoration that have an F rating with the BBB there is one website within the last 8 years that has had an F rating. If you were to Google search and go to the Better Business Bureau they would tell you today they never heard of this company. The truth of this matter they want no parts of them. If you Google, and type Ken Bankoff, you will see an article from this company and I’ll tell you that are lying thru their teeth. Thank you for taking time and reading the information on our fiberglass pool restoration. Posted March 12, 2014 by keith@korekote.com & filed under DIY Fiberglass Pool, DIY Pool Restoration, DIY pool resurfacing, Fiberglass Pool Repair, fiberglass pool review, fiberglass swimming pool resurfacing, gunite pool refinishing, plaster pool resurfacing, plaster pool reviews. When you are checking websites it is highly recommended you click on reviews that will tell you the necessary information that you should know that customers like you are saying about that manufactures product, how happy they are with that product and if they were treated in a professional manner and given the necessary information that was needed. On any one of are 3 websites you will see a clock on for reviews and what the customer feels about our product and the service we gave them after the sale. As you know we have been on the internet since 2003. If you take the time to look at our reviews that are 6-13 years old that are extremely favorable where the customer will tell you. The UltraGuard product has a longevity that is very long, virtually maintance free and the people at UltraGuard where always available when questions needed to be answered. Posted March 7, 2014 by keith@korekote.com & filed under DIY pool resurfacing, Fiberglass Pool Repair, Fiberglass Pool Resurfacing, fiberglass pool review, fiberglass swimming pool resurfacing, pool restoration, pool resurfacing, Super Epoxy, Swimming Pool Epoxy, Swimming Pool Resurfacing, UltraGuard. Today we are celebrating our 11th year on the internet. Over the past 11 years we feel that the customers should know that the UltraGuard pool restoration product is really a super product. Imagine having a product that no one else has because our product is like super glue. We have the greatest adhesion on any type of pool. Since it’s our 11th anniversary we feel it’s only fitting to call UltraGuard, UltraGuard Super Epoxy. If you click on poolrestoration.com or plasterpoolresurfacing.com or fiberglassswimmingpoolresurfacing.com you will find testimonials that are at least 8 years old and some that 12-13 years old. the testimonials that are 12-13 years old are done by ken and his crew before he went on the internet in 2003. Today we have shipped over 5000 home owners the UltraGuard super epoxy product. I am sure that these 5000 customers our also celebrating because they bought our product. Posted March 4, 2014 by keith@korekote.com & filed under DIY Fiberglass Pool, diy plaster pool resurfacing, DIY pool epoxy coatings, DIY Pool Restoration, Fiberglass Pool Constrution, Fiberglass Pool Repair, Fiberglass Pool Resurfacing, fiberglass pool review, fiberglass swimming pool resurfacing, Super Epoxy, Swimming Pool Epoxy, Swimming Pool Restoration, Swimming Pool Resurfacing. If you read any website on the internet I’m sure initially you are very impressed with it until you get a website that has a product called UltraGuard. You then realize why UltraGuard is America’s #1 proven tested quality product. UltraGuard was the pioneer that revolutionized the pool industry on the internet when they offered a 5-10 year warranty. Competition thought within a few short years UltraGuard would be out of business. As of today, 3-4-2014, we are still in business going stronger than ever. UltraGuard will never have any competition unless manufactures in the pool industry start manufacturing a comparable product. 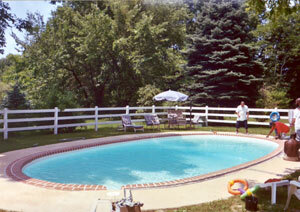 You can find this picture in our testimonials; the pool was done with the UltraGuard in 2001. Posted March 2, 2014 by keith@korekote.com & filed under DIY pool epoxy coatings, DIY Pool Restoration, DIY pool resurfacing, Fiberglass Pool Repair, Fiberglass Pool Resurfacing, fiberglass pool review, fiberglass swimming pool resurfacing, plaster pool resurfacing, plaster pool reviews, pool coatings, pool paints, pool restoration, pool restoration reviews, pool resurfacing, Super Epoxy, UltraGuard. If you have an aged plaster pool and the finish is rough and stained, you should never use conventional paint for that new beautiful look. Why? Because within a few short years it will start chalking, blistering and flaking. 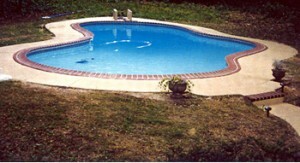 Also, you’ll never get a warranty from any manufacturer, distributor, and contractor as a do it yourself pool restorer. If you’re considering re-plastering your pool, there are absolutely no realistic warranties whatsoever from manufacturers. Your plaster application when the pool was first built, lasted anywhere from 10-23 years, depending upon your water chemistry. Unfortunately, on a re-plaster, the longevity of that is usually 5 or 6 years and the cost is sometimes twice that of UltraGuard, which has a longevity of 10-13 years. You should always check plaster reviews to get the true story of what you could expect if you re-plaster your pool. People believe a high cost is a sign of quality. This is especially true for epoxy EHB paint. This may have been true 20-25 years ago, but when the government mandating the removal of lead the paint industry, that’s when the failures of all epoxies started. If you’re considering doing a DIY pool restoration with an epoxy paint or an EHB epoxy paint, you will never get a warranty. All epoxies and paints will chalk and fail within a few years. Ask your neighbors, or better yet, a commercial pool owner, such as a country club, where they paint their pools every year. This is a true fact that you can confirm by speaking to people that have used epoxy paints. If your fiberglass pool is failing, it is time to try the UltraGuard product. We are Americas #1 product for fixing all your fiberglass pool problems as a DIY. If your local contractor tells you he is going to use a gel coat top coating, ask him if he will give a warranty on it. Remember, this is his warranty, not yours, and it will protect him not you. When checking any warranties from a manufacture or contractor, look on back of the contract where he’s stating his warranties and you will probably find exclusions, in bold print. If you were to give this warranty to your attorney, he would tell you that warranty is not worth the paper it was written on. The UltraGuard process of fixing your fiberglass pool will definitely cost you more than a gel coat finish, but it is an investment into the future, with a greater lifetime longevity and you’ll never be a slave to your pool again. Why is Ultraguard the better solution? Since 2003, UltraGuard has been Americas #1 proven quality, tested product and accepted and installed by over 5000 DIY customers. Also, UltraGuard has offered the only, no non-sense legitimate guaranty on their fiberglass pool restoration website. The BBB acknowledges our guaranties/warranties and is the only one on the internet today that has given us an A+ rating. When you are searching the internet you should always look at the swimming pool reviews/testimonials. 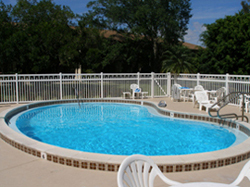 You will find the best reviews and testimonials on this fiberglass pool resurfacing website. If you would like to discuss YOUR options regarding your pool, contact us using the questionnaire or by calling Ken at (888) 639-7695. Posted March 1, 2014 by keith@korekote.com & filed under DIY pool resurfacing, Fiberglass Pool Resurfacing, fiberglass swimming pool resurfacing, plaster pool resurfacing, pool coatings, Swimming Pool Resurfacing, UltraGuard. swimming pool interior failures have become a national disaster since the lead was taken out of all pool paints. If you paint your pool with an epoxy paint, rubber paint ect…. they will all start chalking with in the first or second year. The next 3-4 years you will see blistering and flaking. you actually become a slave to your pool using a DIY paint. your one piece fiberglass pool that had a gel coat finish that was applied by the manufacture lasted 10-20 years depending upon your water chemistry. 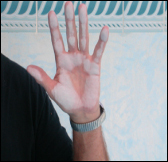 when you use a gel coat as a DIY it will start failing by chalking first and then getting hair line spider cracks. there is no manufacture on the internet that will give a guarranty on a gel coat re do. when your gel coat starts chalking you will find your filter must be cleaned out completely every 2-3 weeks. the only product installed as a DIY should be the UltraGuard. since 2001 UltraGuard has been giving a 5 and 10 year warranty that will not chalk or crack when applied as a DIY pool resurfacing. In California where there are earth quakes or texas where the ground moves all the time you have pools that are probally leaking because of cracks. we have perfected over the years where the UltraGuard customer is capable of doing a DIY application of fiberglass which will last as long as you keep the pool filled. This glass is a heavy 24oz. application when using the UltraGuard product. you should never use a ounce and half or 2 ounce fiberglass because it does not have any structural integrity. If you are applying on your plaster pool as a DIY any product for reason UltraGuard should be the product that you should use. Posted February 26, 2014 by keith@korekote.com & filed under DIY Pool Restoration, DIY pool resurfacing, Fiberglass Pool Resurfacing, plaster pool resurfacing, pool resurfacing, Super Epoxy, Swimming Pool Epoxy, Swimming Pool Resurfacing, UltraGuard. If you should re plaster your old plaster pool chances are you will not get the kind of longevity as it was first done initially. You also will not get the 5 or 10 year warranty that your contractor offered at that time. If there is a failure even after one year they will always blame it on you because the water chemistry was not kept properly. If you should re plaster your pool the prices could range depending upon the size of the pool $8,000-$20,000. If you are considering fiberglassing your pool with a gel coat as a DIY you will never receive any warranty at all. If you are considering fiberglassing your pool with a gel coat using a contractor to install it for you and he gives you a 5 or 10 year warranty the prices will be so high because this contractor knows he will be back to apply another coating to back up his guaranty. the only fiberglass application you should consider today is the UltraGuard fiberglass swimming pool resurfacing because we actually give you a warranty recognized by the BBB with an A+ rating. our website pool restoration and swimming pool restoration went on the internet in 2003. Since then we have sold the UltraGuard product with close to 5,000 DIY customers. Our product is a two part epoxy coating and is not a swimming pool paint. When your on our pool restoration website you should check out our testimonials that are 10-13 years old. we have an amazing 1.5 failures and most of those failures didn’t have a control number which means they didn’t call us when they were prepping the pool. any customer that had a failure as a DIY and had a control number we have always shipped a new order at no charge and even paid the freight. Posted February 23, 2014 by keith@korekote.com & filed under DIY pool epoxy coatings, DIY Pool Restoration, DIY pool resurfacing, fiberglass swimming pool resurfacing, gunite plaster pool resurfacing, gunite pool refinishing, pool coatings, pool resurfacing, UltraGuard. If you are considering a Gunite Swimming Pool resurfacing and you want to save money with a DIY solution there are a number of other options available. We would suggest an epoxy solution such as Ultraguard Super Epoxy Pool Coating. Super Epoxy will not blister or flake like plaster or gunite and can be easily installed as a DIY for thousands less than a plaster or gunite resurfacing. Please click on the links above to learn more about this DIY pool resurfacing solution. Posted February 21, 2014 by keith@korekote.com & filed under business link pool enclosures, pool enclosures, pool enclosures inc. Whether you want to be swimming year ‘round in an enclosed pool, or entertaining guests in a light-filled sunroom, Pool Enclosures Inc. has the design for you. For over 20 years PEI, based in Western North Carolina, has been designing and building beautiful energy-efficient swimming pool enclosures, sunrooms, conservatories, spa enclosures, porte-cocheres and canopies, for both residential or commercial use. PEI glass and aluminum solar structures are built with the care and craftsmanship that you demand from your investment. Your peace of mind means everything to us, and your satisfaction is always our first concern. Posted February 21, 2014 by keith@korekote.com & filed under business link greening solutions, greening solutions, roof top gardening greening solutions. Plant Containers have become the most popular method of growing plants for gardening. It is the practice of growing plants exclusively in containers instead of planting them in the ground. In the past time, pots, usually made of terracotta are popular used for containers, while now plastic materials haven been the most commonly seen. Containers range from simple plastic pots,teacups to complex automatic-watering irrigation system. this flexibility in design is another reasion container gardening is popular with growers. They can be found on porches, front steps, and in urban locations, on rooftops. many container-garden plants like herbs, cacti, decorative flowers, vegetables and small trees. There are many advantages to growing plants in containers, like less risk of soil-borne disease;virtually eliminate weed problems; mobile plants gives more control over moisture, sunlight and temperature. Leiyuan Green-solution offers decorative plant containers for garden plants and green-roof system. Our plant container roof greening is a technology which is made up of plastic plant container, non-woven textile, soil and plant. After finishing plant work, they are transferred to destination and put on the roof directly.